Those that know me well, know that I am a huge fan of feedback. I love feedback of all kinds and constantly ask for it to get better and make changes to how I approach things, train others, speak, teach, etcetera. My colleagues at a previous employer even called me the Feedback King. I believe my love of feedback started when I was developing in ROTC to be an Army Officer. In ROTC we had to complete the Cadet Self-Assessment Reports or yellow cards. These yellow cards were required after every mission and assignment when we were in a leadership role. Yellow cards were a summary of our performance while in the leadership role and were detailed using the well-known STAR model, that would describe the specific Situation, assigned Task, the Actions were taken, and the Results. At the same time, the student cadre or leader would complete a blue card called the Leadership Assessment Report. This report was where they rated behavior actually observed and recorded their counseling and would measure certain attributes, skills, and actions. We would then meet for a quick counseling session to compare notes and discuss my performance. The discussions focused on things I did well and where I needed to improve, along with actions I planned to take to sustain or change the behavior. As a cadet and as student cadre I experienced both sides of giving and receiving feedback. This practice, however, did not end with my commissioning. This practice of feedback continued through my time in all my professional military schools. Whether it was at the Infantry School or at the Combined Logistics Captains Career School doing peer evaluations through leading soldiers, teams, and units on active duty with counseling, evaluation reports, and pulse and climate surveys. Feedback was constant and always encouraged. I encouraged it despite rank and protocol, as long as it was done respectfully and with the proper intent. The AAR is a professional discussion of an event, focused on performance standards, that enables soldiers to discover for themselves what happened, why it happened, and how to sustain strengths and improve on weaknesses. It is a tool leaders and units can use to get maximum benefit from every mission or task. The AAR in a corporate or professional setting can be executed in the same way, as a structured debrief process for analyzing what happened, why it happened, and how it can be done better by the individuals involved and those responsible for the project, event, or situation. Take a look at the link provided below for more info on how to conduct an AAR. Never, ever give someone harsh, critical, developmental feedback in the presence of others. This can be extremely embarrassing to the person receiving the feedback. Find the right time and place to pull them aside in private. Only give feedback on the things that you heard someone say or behaviors you saw someone do. Giving feedback from a 3rd party, on something you did not hear or see can be a slippery slope and deteriorate trust. Make feedback a dialogue. Avoid making assumptions. Make sure to check your information and biases, giving the benefit of the doubt to the other person. Allow yourself to be emotional. Deal with your emotions, allow yourself some time to be mad, angry, sad, upset, …., and then come back and deliver the feedback. Use that time to also prepare, write down what you want to say, focusing on what the things said or done, and as a result how they made you feel and the outcome. Be specific. Vague feedback might seem insincere or calculating. Saying “I don’t remember exactly what you said, but it … ” diminishes its impact severely. Be Timely. Give feedback, both positive and developmental feedback, immediately but no more than 5 days after it happens. Don’t put it off as not urgent if it’s good. Don’t avoid it or put it off if it’s not so good. Avoid the feedback sandwich, “you did great, but here’s what you did wrong, but I thought you did great”. You can give both positive and developmental feedback in the same conversation, however, you have to finish one type of feedback before giving the other. In other words, get through the STAR for positive or developmental before giving the other. Always ask for feedback, for everything you do. Asking for feedback as a leader builds a culture that asking for feedback is encouraged and more than likely when you give it will be also be received well. When you ask for it, do something with it. Change your behavior and/or change your own self-perception. Asking for it without doing something with it is disrespectful and can lead to a lack of trust. Listen. Ask questions. Admit your mistakes. Listen to learn how they perceived your behavior, ask questions for clarification and examples, admit your mistakes. 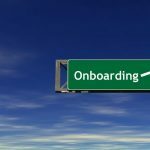 Delivering feedback is a skill that must be fostered and developed. Delivering positive feedback is easy, yet too many leaders don’t do a very good job at it. Developmental feedback is not always easy to deliver, accept it. Your best bet will be to find someone to rehearse if it’s going to be emotional. Early in my career, I learned the valuable lessons and gifts of feedback. Feedback can be one of the most powerful tools for anyone to learn how to use. It might be clunky at first, but It’s never too late. 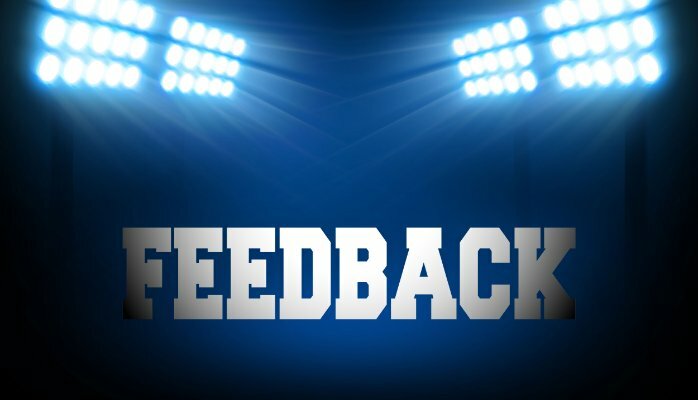 Do you love feedback? How often do you receive feedback? How comfortable are you giving it? What’s the most important piece of feedback you’ve received? How did it change you? We welcome (and read) all comments, and would love to hear about your experience. Not ready to share openly? That’s okay. Contact us directly at info@whereleadershipbegins.com. Also, if you’re a new leader, either to the organization or promoted from an individual contributor role, we recommend you download our ebook here.